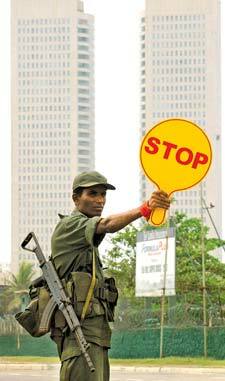 The Lessons Learnt and Reconciliation Commission which is referred to as the Sri Lanka Civil War Commission by international media, commenced its sittings few days ago on August 11. However, ironically, the same international media reported that the Commission lacks teeth to investigate into the alleged war crimes perpetrated during the last phase of the war. It appears that several prominent Human Rights Organizations are also amongst the proponents of this view. In this context, the article explores the ambit of the Commission’s powers from a legal point of view. The Lessons Learnt and Reconciliation Commission (LLRC) has been appointed by President Mahinda Rajapaksa under the provisions of Section Two of the Commissions of Inquiry Act No. 17 of 1948 (as amended). In terms of Section 2 of the said Act, the President is empowered to appoint, by warrant under the Public Seal of the Republic, a Commission of Inquiry consisting of one or more members to inquire into and report on the administration of any Government department or of any other public institution or the conduct of any member of the public service which an inquiry will be in the interests of the public safety or welfare. Section Two further provides that every warrant by which a Commission of Inquiry is so appointed should contain the terms of reference of the Commission. Accordingly, it is patently clear that the warrant by which the LLRC was appointed contains the scope of its mandate. Terms of reference containing in the warrant. (i) The facts and circumstances which led to the failure of the ceasefire agreement and the sequence of events that followed thereafter up to May 19, 2009. (ii) Whether any person, group, or institution directly or indirectly bear responsibility in this regard. (iii) The lessons we would learn from those events and their attendant concerns, to ensure that there will be no recurrence. (iv) The methodology whereby restitution to any person affected by those events or their dependents or to heirs, can be effected. (v) The institutional, administrative and legislative measures which need to be taken to prevent any recurrence of such concerns in the future, and to promote further national unity and reconciliation among all communities, and to make any such other recommendations with reference to any of the matters being inquired under the terms of this Warrant. As per above, it is quiet plain that contrary to the assertions of the Rights Groups, the Commission’s scope of inquiry is not confined to the finding of the facts and circumstances that led to the failure of the ceasefire declared on February 21, 2002. It also includes the subsequent events which eventually culminated with LTTE leader’s death on May 19, 2009. Accordingly, it is manifestly clear that the Commission has the mandate to inquire into and report on the incidents occurred during the final stages of the conflict where the alleged war crimes were committed. In terms of the provisions of the Act, the Commission enjoys wide-ranging powers such as the admission of evidence that are inadmissible in a court of law and the summoning of any person residing in Sri Lanka to examine him as a witness. Accordingly, the Commission is well-equipped to investigate into the alleged human rights abuses and violations of International Humanitarian Law. According to the aforementioned terms of reference, I believe that the LLRC has a broader mandate than a war crimes investigative body as it appears to be in pursuit of unravelling the root causes of the conflict. However, eventhough the actual intention of establishing this Commission is comprehensible to any prudent man, it was indeed the ingenious political strategy in the context of mounting pressure for an international probe on the alleged violations of International Humanitarian Law.